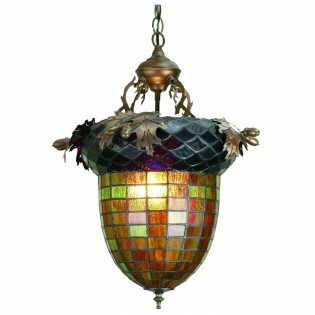 Majestic As The Mighty Oak Is This Leaf Adorned Inverted Pendant Light In An Antique Copper Finish. The Acorn and Oak Pendant Light-Multi Features A Lighted Stained Glass Acorn, In Multi Toned Autumn GreEn With A Bark Brown Granite Glass Crown Sprouting Oak Leaf Covered Hardware.. Majestic As The Mighty Oak Is This Leaf Adorned Inverted Pendant Light In An Antique Copper Finish. 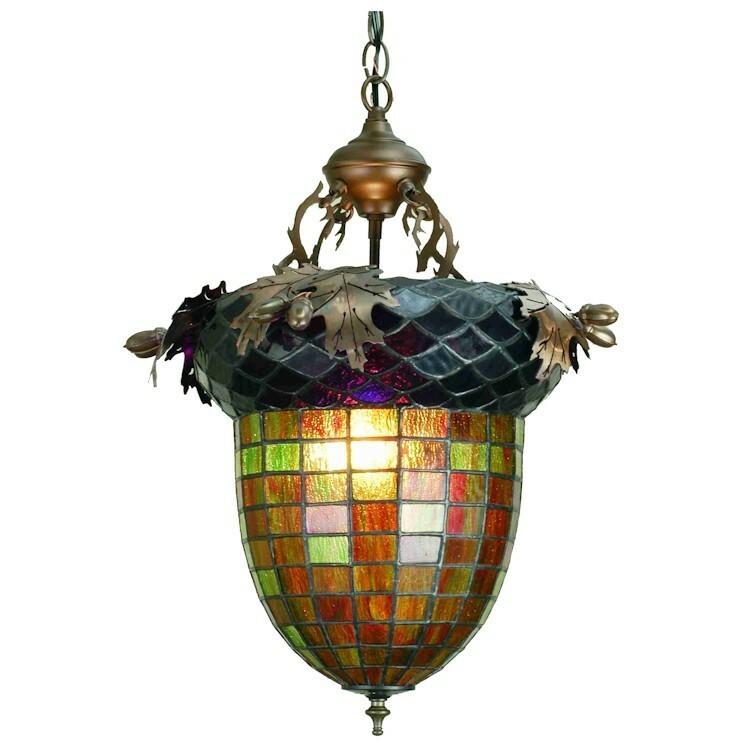 The Acorn and Oak Pendant Light-Multi Features A Lighted Stained Glass Acorn, In Multi Toned Autumn GreEn With A Bark Brown Granite Glass Crown Sprouting Oak Leaf Covered Hardware.